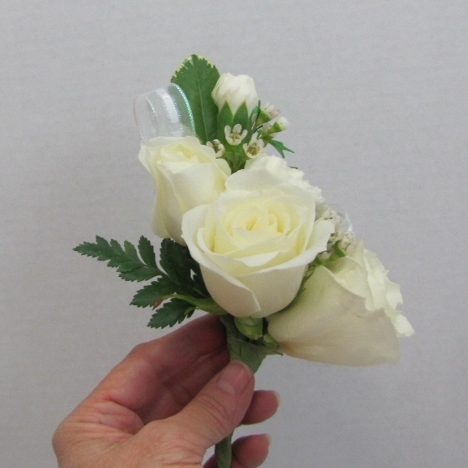 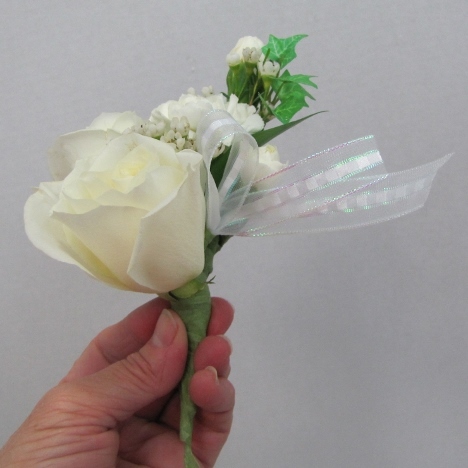 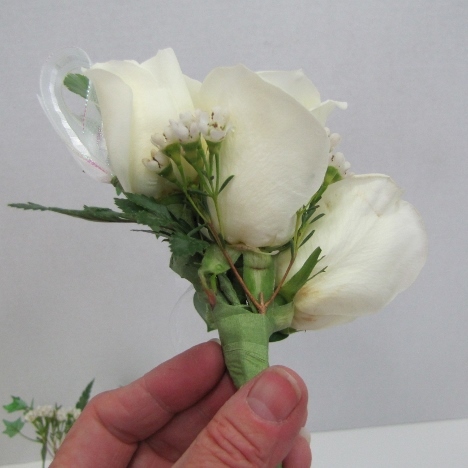 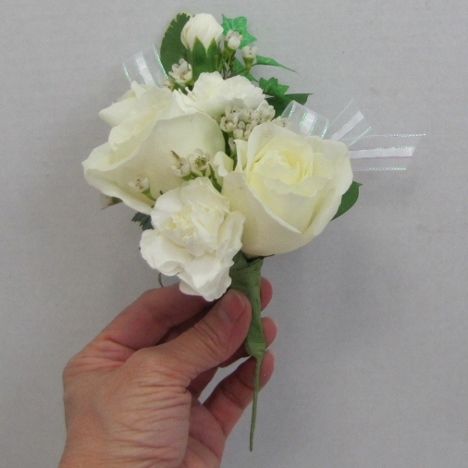 To make corsages look well balanced, I will tuck in another ribbon loop next to the rose. 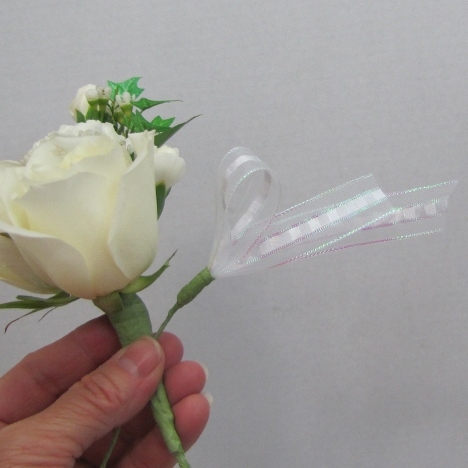 If you look closely you'll see I tucked the ribbon stem into the opening between the last rose and the flowers above it and pulled in down and out on the left side. 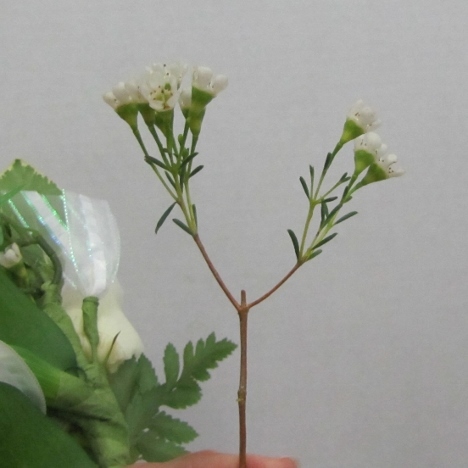 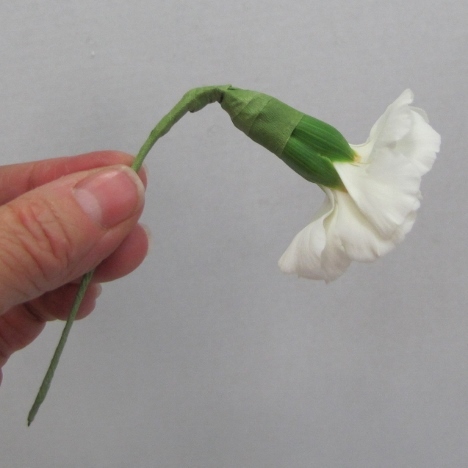 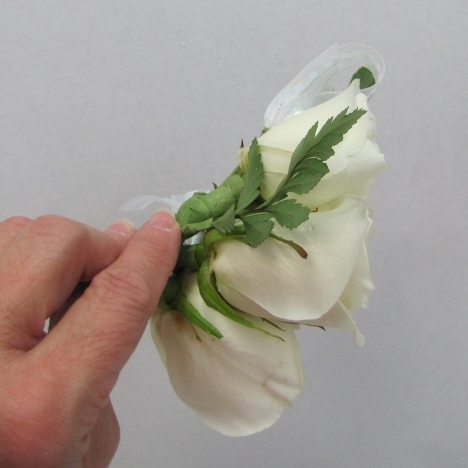 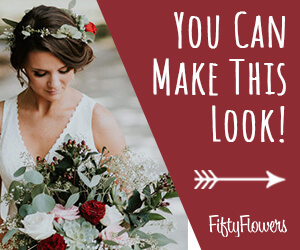 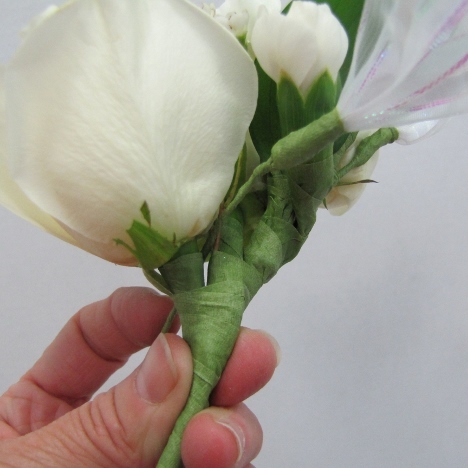 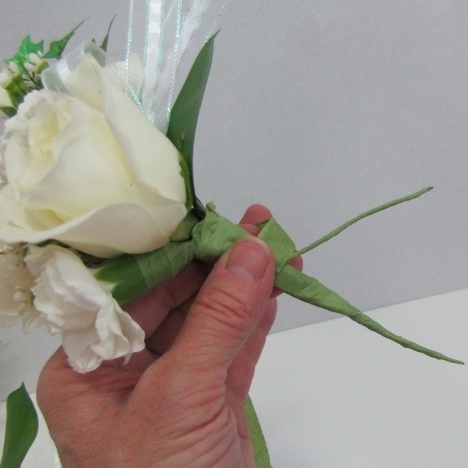 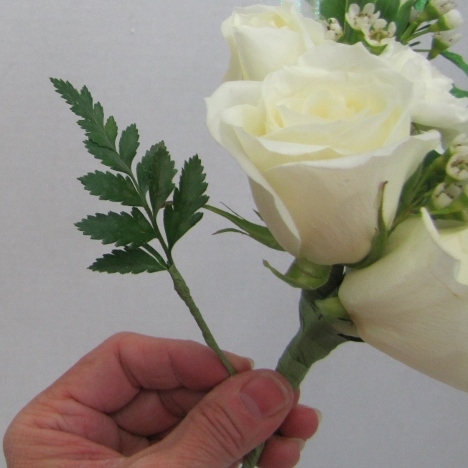 Wiring your flowers allows you the freedom of bending the carnation completely over. 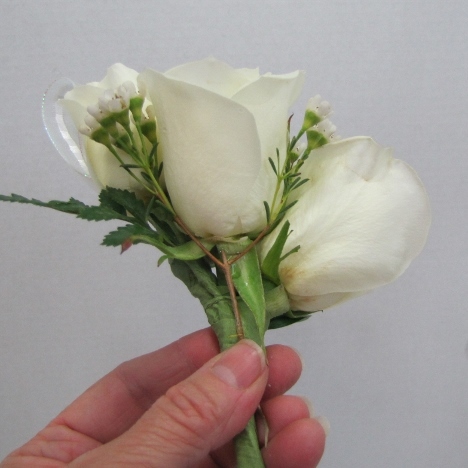 I need to do this in order to fit it in the right place to the left the the center rose. 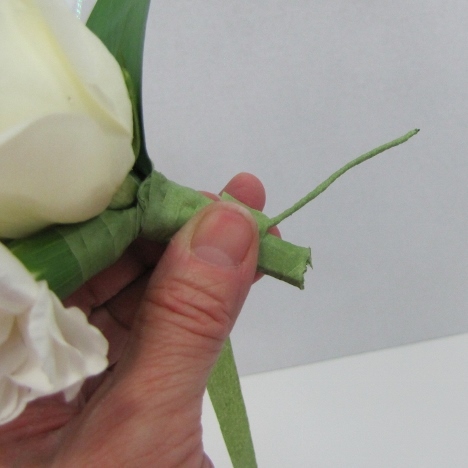 Again, I'm cutting off the larger stem in favor the the smaller slender stem from this last carnation. 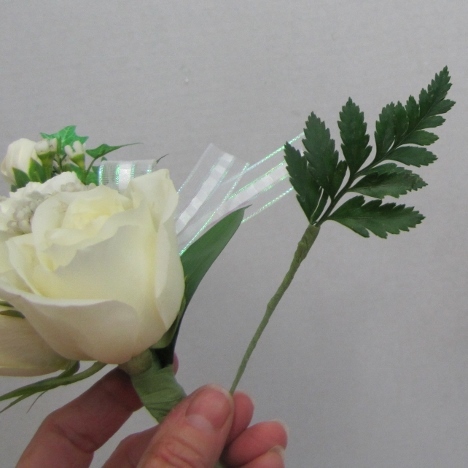 Flowering the corsage is nearly done. 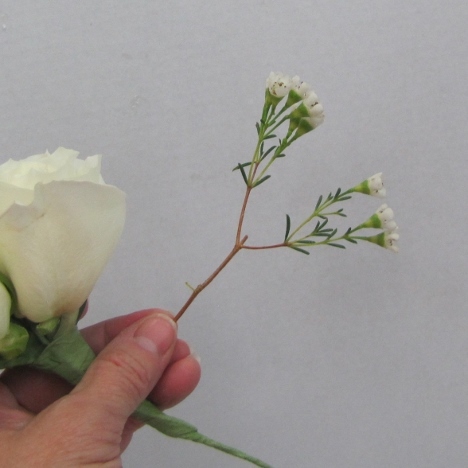 Now all remains is to add in some more greenery and ribbon to finish off the bottom.